Home / Knowledge Base / Frequently Asked Questions / Should I sell with the LifterLMS eCommerce system or WooCommerce? Some people choose to use WooCommerce + the LifterLMS WooCommerce integration for selling courses and/or memberships. Others choose to use the LifterLMS ecommerce system. 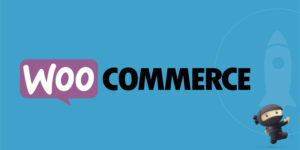 You cannot use both LifterLMS ecommerce and WooCommerce on your site; you need to select one or the other. The LifterLMS ecommerce system is the simplest option for most people as it is designed specifically for selling courses and memberships for one time and/or recurring payments. Here are all the types of pricing models you could use for your courses with the LifterLMS checkout. With the LifterLMS checkout you have the option to use any or all of the following: LifterLMS PayPal, LifterLMS Stripe, LifterLMS Authorize.net. However, since LifterLMS WooCommerce 2.0, you can associate a WooCommerce product (your course or membership) with LifterLMS access plan functionality. Course and membership pricing tables look like native LifterLMS pricing tables. The buy now button will link into the WooCommerce checkout flow. Please note: You will need to choose a WooCommerce Payment Gateway as well. What About Recurring Payments with WooCommerce? If you would like to collect recurring payments for your courses and memberships with WooCommerce you will need to also purchase the Woo Subscriptions extension. There are many reasons why people, businesses, schools, and organizations might want to choose WooCommerce and combine traditional ecommerce with online courses and memberships. Someone in need of different a payment gateway to get the ecommerce working in your country besides the ones offered by LifterLMS. In need of tax system integrations like these ones available through WooCommerce.